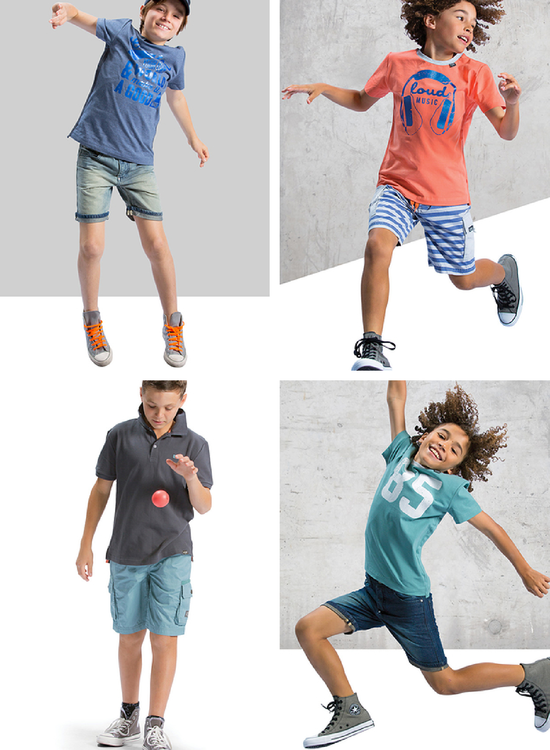 I love August as it heralds the start of the Spring Summer kids clothing collections (and that means warmer weather is coming! ); and also means new sweet stylings from eeni meeni miini moh and e3-M - fresh colours, new beginnings, promise of long summer days ahead. Welcome to the new SS14 collection! With stars in their eyes (and on their clothes! 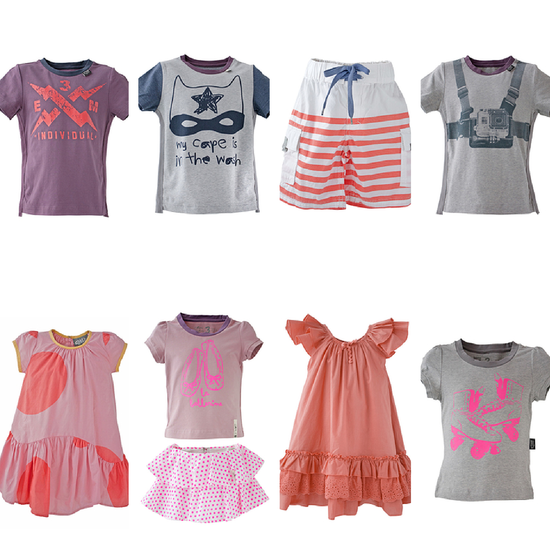 ), kids are sorted with the SS14 collection with great, quality fabrics and carefully-considered designs. The eponymous skeggings are back and look out for practical-and-cute skorts. 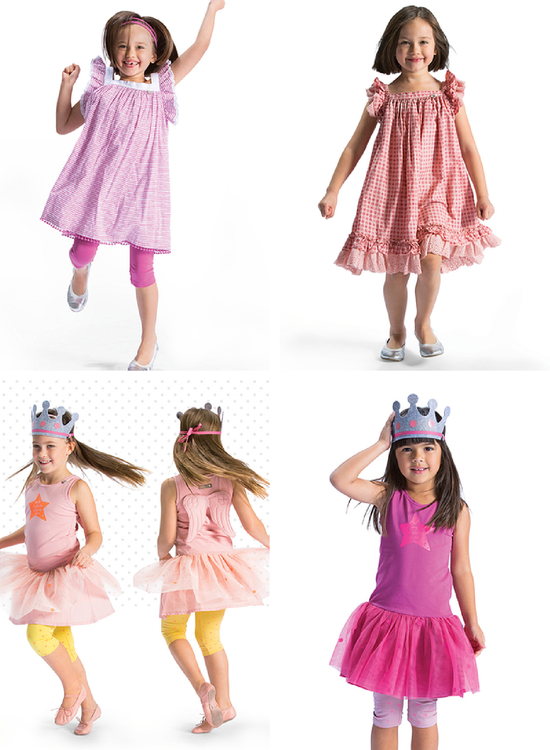 Flamingos, lions, roller skates, crowns, cameras and more fun graphics don tees and dresses for our little princes and princesses. 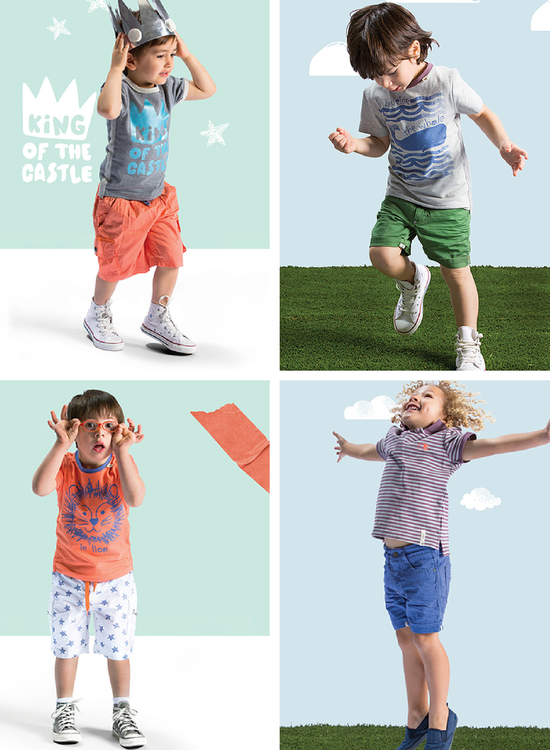 Little boys 0-5 years will play all day in fresh colours and fun prints. Who's the King Of The Castle? Thanks as always to eeni meeni miini moh for their sponsorship and support of Bondville year after year. It's such a pleasure to work with this quality Australian brand. 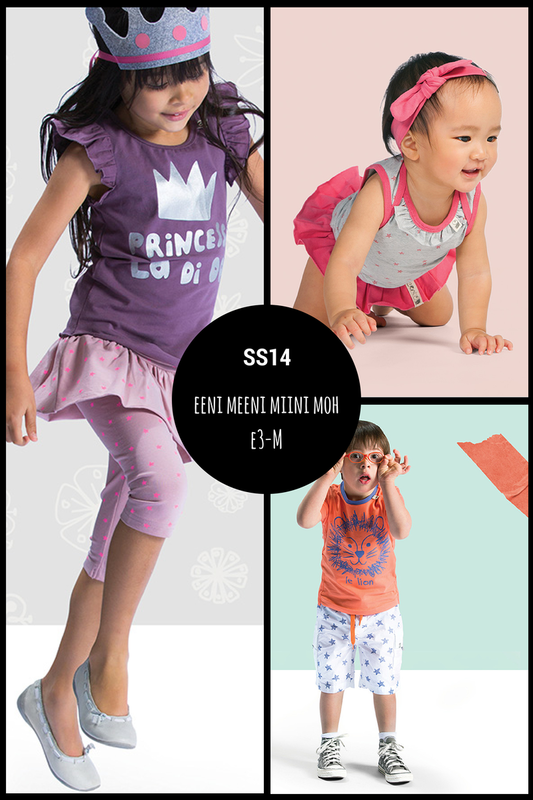 Head to the eeni meeni miini moh and e3-M online store to order now before the most popular styles sell out. What are you loving?